Knowledge has gone viral! 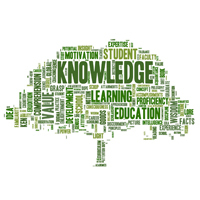 No longer the exclusive purview of higher education institutions, knowledge is everywhere, whenever we need it, and often for free. While the ramifications of these changes have been felt throughout the higher education sector, this has been particularly evident for knowledge based professions like the law. Learning for lawyers now, more than ever, needs to be accessible, relevant, impactful, valuable and “just in time”. These changes and many more have driven the demand for different law schools and different skill sets for their academics. Law schools are market driven businesses. They need to run high quality programs, taught by engaged and up-to-date academics for time poor students. Law academics are increasingly incorporating technology into the classroom. They are not only swapping blackboards for smart whiteboards but also using a plethora of digital and social based media to demonstrate, illustrate and enhance face-to-face and online student engagement. My work with law schools focusses on supporting Deans and Associate Deans in identifying where their law schools are today, where they want them to be and how they will get there. This usually involves strategic and business planning as well as leading a change process along the way. It also focusses on finding opportunities to collaborate effectively with the legal profession. Whether it is identifying what differentiates your law school from others, enhancing your existing programs and courses, developing new leadership and management skills, learning how to engage employees, or aligning all that you do what the needs of the legal profession and students, as the services articulated below suggest, I would welcome the opportunity to work with your law school.